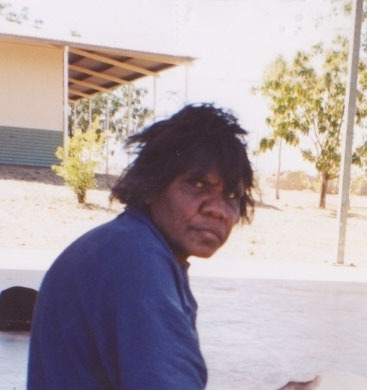 MARGARET COX was born in 1958 in Fitzroy Crossing. She came from a family of nine children who lived in the Yiyili Community. Margaret has a partner Leslie, five children and one adopted child, and is a grandmother.She enjoys painting with acrylics on canvas and carving artefacts from the wood of the Coolaman tree.